Office Policies & Procedures Time and Cancellations Each session lasts one hour; 45 minutes are devoted to treatment while the other 15 are used for administrative tasks like scheduling and billing. If you arrive more than 15 minutes late for your appointment, we will consider that a cancellation, and ask that you reschedule. Please provide 24-hour notice if you must cancel a scheduled appointment. A $25 fee will be charged for failure to provide 24-hour notice of cancellation. Fees Our fee schedule is provided below. Fees for services will be discussed further during your initial consultation. • 15-minute phone consultation- free • Initial Office Visit- $150/session • Individual Therapy- $120/session • Family Therapy- $120/session • Group Therapy- Varies by Group • Assessment- $120/hr. • Observation/Presentation/Consultation- $120/hr. plus travel at $60/hr. Payment We currently accept cash, checks, and major credit cards. Payment is due at the time of service. Insurance Insurance companies and plans vary a great deal with regard to mental health benefits. Your insurance plan may require that a deductible be met before coverage begins. It may cover certain mental health services, while not covering others. In addition, your insurance company may offer you a discounted rate for choosing an “in-network” provider while requiring you to pay more to utilize a provider who is “out-of-network”. To learn more about the details of your coverage, contact your insurance carrier, and ask about “outpatient mental health benefits”. 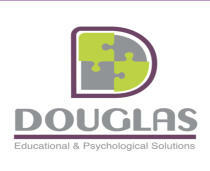 If Dr. Douglas is an in-network provider for your insurance plan, you will pay only your co-pay at the time of service. The balance of your bill will be paid directly to Dr. Douglas by your insurance company. If she is not in your provider network, you will be required to pay the full cost of services at the time they are rendered. Our office will be happy to provide you with the documentation you will need to seek reimbursement from your insurance company. We will also provide documentation for those clients with pre-tax health savings plans.